Social Media is all the rage nowadays and Facebook is among the top platforms. 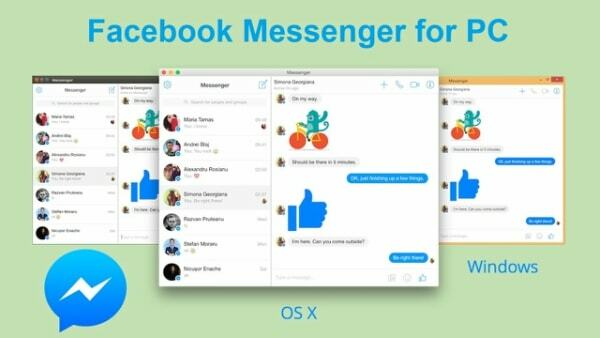 Facebook Messenger for PC Windows and Mac platform is available. In this section, we’ll see how to download and install the app on a PC. You can access Facebook on a PC with the help of its official website. Once you sign up, you can access all the features and also chat with your friends. Though the Messenger App is a good standalone app from Facebook. Let’s see how to install Facebook Messenger for PC. For Windows 8 & 10 users can easily download the app from the Windows Store. Open the store and search for “Facebook Messenger”. Select the app from the list and go to its download page. Click the Get button and the app is free so the download will start after a few seconds. It will be installed in a few seconds or so. As for the Windows 7 and MacOS users, they will have to rely on the website because there is no app for them. With this, we have covered the installation and how to use Facebook Messenger procedures for the Windows and Mac platforms. If you think you are going to need help with this, contact us at APKPie.